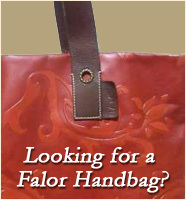 William Falor obit from Akron Beacon Journal, Akron, Ohio, Sunday, July 29, 1990. Memorial services for Dr. William H. Falor, who for years was on the Akron City Hospital cancer research team, will be at 11 a.m. at Westminster Presbyterian Church on Monday. Dr. Falor, 79, who continued to work at City, died Friday at the hospital after a sudden illness. He had been admitted there a day earlier. The Akron native was in education and research and “was a great practitioner in the art of surgery,” said Dr. William Loughry, professor emeritus of surgery with Dr. Falor at the Northeastern Ohio Universities College of Medicine. They had also practiced together at City. “He was a great human being, and he really led City Hospital, I think, into the scientific age before I got there, in 1955,” Loughry said. Dr. Falor conducted research on thyroid operations and on determining the extent of cancer in he lung, Loughry said. 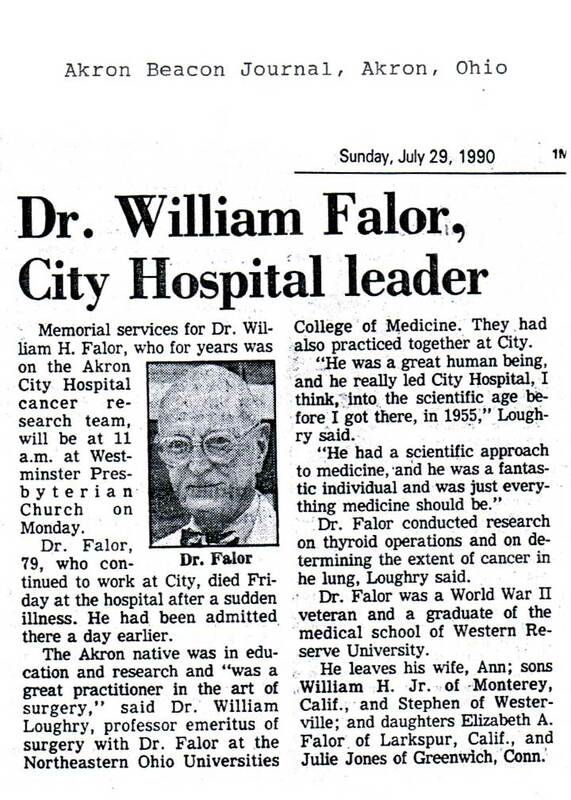 Dr. Falor was a World War II veteran and a graduate of the medical school of Western Reserve University. He leaves his wife, Ann; sons William H. Jr. of Monterey, Clalif., and Stephen of Westerville; and daughters Elizabeth A. Falor of Larkspur, Calif., and Julie Jones of Greenwich, Conn.
[S43] Dr. William Falor Obit, Sunday, July 29, 1990.